Is solar power worth it? It’s a question we get asked dozens of times a day and for most households, solar power makes a lot of sense. 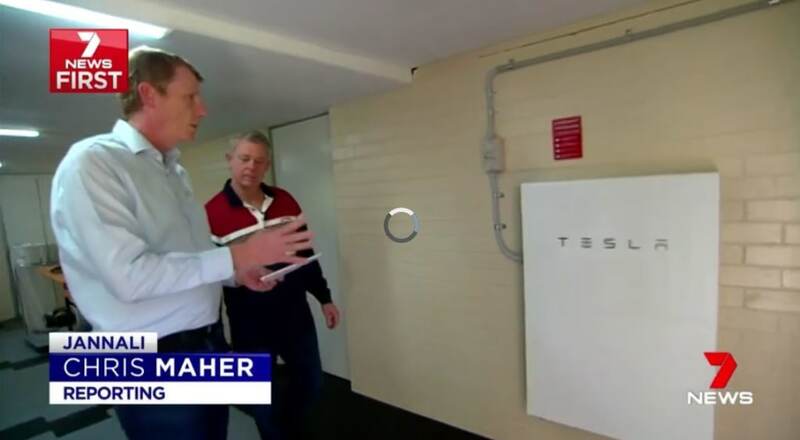 With electricity prices continuing to skyrocket across Australia, households are rushing to install solar power to reduce their power bills, especially now that solar panel prices in Australia are at an all-time record low. Solar panel prices are at a record low, with an average-sized 5kW solar system with good quality panels now costing as little around $5,500 fully installed, generating around 20 kWh a day (averaged out across the year). If we assume you are paying 30c per kWh, you can expect to save you over $2,000 every year on your power bills if you use all of the solar power as it is generated. The price of good quality solar panels is now so affordable, it is possible to get a return on your money in 3-5 years. Let’s break these numbers down into more detail to help you figure out how much you need to pay for a solar power system to determine if solar power is right for your household. How much do you want to save a year on your power bills? Firstly, the benefit of solar power in NSW is that it reduces your power bill by around $400 per year per kW of solar, so if your bills are around $400 a quarter, you could save around $300 a quarter with a 3kW system if you were able to use most of your power during the day (or store excess solar power in a battery). We generally recommend you have a quarterly power bill of at least $400 to be able to get any significant saving. Furthermore, solar power is generated during the day between around 7 am and 7 pm in summer (less in winter). Typically, the smallest solar system we install is a 2kW system, which will generate around 8kWh a day, and it can save you up to around $200 a quarterly bill if you use all of the solar power as it is generated. If you are planning on installing battery storage, rather than needing to use at least 8 kWh during the daytime, you only need to have a daily (24 hours) usage of 8 kWh a day, which may translate to a power bill of around $250 a quarter or so. Solar batteries allow you to store the excess solar power to then be used in the evening as needed. If your power bill is more than $500 a quarter, a solar power system will almost certainly be of great benefit, and as a general rule the larger your power bill, the more money you can save, and hence the more a solar power system will be worth it. How much do you pay for your power? Solar power only costs around 5 to 6 cents a kWh to produce, making it a no-brainer to run as much of your home as possible off solar power. So yes, solar power is worth it! Solar power is fed into the home to be used as it is generated, so by using solar power, you are not buying power from the grid. If you don’t use the power as it is generated it is fed off to the grid and you will get paid a small amount for this from your energy retailer. Typically you will get around $10-$30 a quarter as a credit on your bill, and the smaller the credit the better as this means you are using most of your solar power as it is generated. For more information on this please read how solar power reduces your power bill. To work out how much power you use during the day, simply read your meter (in your meter board) in the morning and then again at night. Subtract one number from the other and it will tell you exactly how much power you have used during the hours in which your solar system will be generating electricity. Detailed information on accurately sizing up a solar system. With solar storage now available, it is also possible to further reduce your power bill and run your house almost entirely off solar power. Solar batteries store power that would otherwise be sent to the grid to be used in the evening. Click here for more information about solar battery storage. Do You Really Save Money With Solar Power? The payback of a solar system has become so good, many people are surprised to find out it is now possible to get a good quality system to pay for itself in as little as 3 or 4 years, with a possible total profit of nearly $50,000 over the life of the system. It wasn’t all that long ago that solar systems took 7 years or more before breaking even, so many people are now oversizing their array for a slightly longer return, with the benefit of being able to use more power over a hot summer by running the air conditioner more often, or with the expectation that they will add battery storage in the near future. This also helps you choose what brands to go for. If you know a 5kW system is going to save you up to around $2,000 a year on your bills, you can then decide whether you want mid-range panels for a 3-year return or a top of the range system with a 5-year return on your money. If the top of the range system on average lasts 7 years longer than cheaper Chinese made brands, then perhaps you can justify a larger outlay for increased reliability and longevity. This will depend on how long you intend to stay in your house and how much you have budgeted for a solar system. One of the most important points to consider is how quickly you want the system to pay for itself. Typically the best case scenario is a return on your money from 3 to 5 years. A return on your money in less than 3 years typically requires buying very cheap components that are likely to less reliable, and an ROI of longer than 5 years typically means the system has been over-sized. As mentioned above, this is not always a bad thing, especially if you are planning to add battery storage. If you are comfortable with a longer return on your money, the two main options are to go for better brands or a bigger system. This is of course entirely up to you, however, the one tip we do like to emphasise is that with solar brands you absolutely get what you pay for, which is an increase in quality, longevity and system performance. More information: with solar panels you get what you pay for. How much are you willing to pay for solar a solar power system? If you only want to pay $2000 for a solar system, it won’t be worth it. The cheaper end of the solar industry is plagued with issues from under-performing panels, to no-name manufacturers in China going out of business (along with your warranty), to unprofessional installers that don’t respond to service requests, to misleading marketing & fake testimonials… and so on. It is a nightmare and we know all about it from the dozens of calls we get every week from households that have been ripped off by other installers and are looking for help. Significantly higher Australian Standards and the introduction of strict regulation has cleaned out the cheaper end of the industry since the early days, however, it is still possible to buy very cheap components, even if the company installing them is fully licenced. Generally, if it is too cheap to be true, it is probably worth keeping your money. It is also quite easy to strip $500 out of an install, which is something no reputable installer would do, however, we know it happens with cheap solar systems bought from certain installers. A $5000 5kW quote is not the same as a $6000 5kW quote, in fact, there can be significant differences that should be understood before signing up for an installation. So is solar power worth it? The message is simple – if you have the budget for a good quality system from a reputable installer, solar power is absolutely worth it. When sized up properly, it is possible to get a return on your money in as little as 3 to 5 years and have a problem-free investment that generates clean energy for decades – over 25 years with the better brands. A 5kW system can save you up to around $50,000 off your power bills over the life of the system, money that is taken directly from the books of the coal industry. Furthermore, solar storage is now available, enabling households to run their home almost entirely off solar power. Solar + Storage systems are quickly becoming the norm, as households look to increase their energy independence and maximise the consumption of solar power in the home. Solaray offers extremely competitive pricing on all of the top brand names; from the best Chinese manufacturers right up to the best high-efficiency modules on the market from companies like LG Solar and Q Cells. Over 1.5 million households now have solar power because the numbers simply make sense. When sized up properly solar power costs as little as 5 cents a kWh. Compare that to what you are currently paying and it quickly becomes apparent that solar power is worth the money for most Australian households.